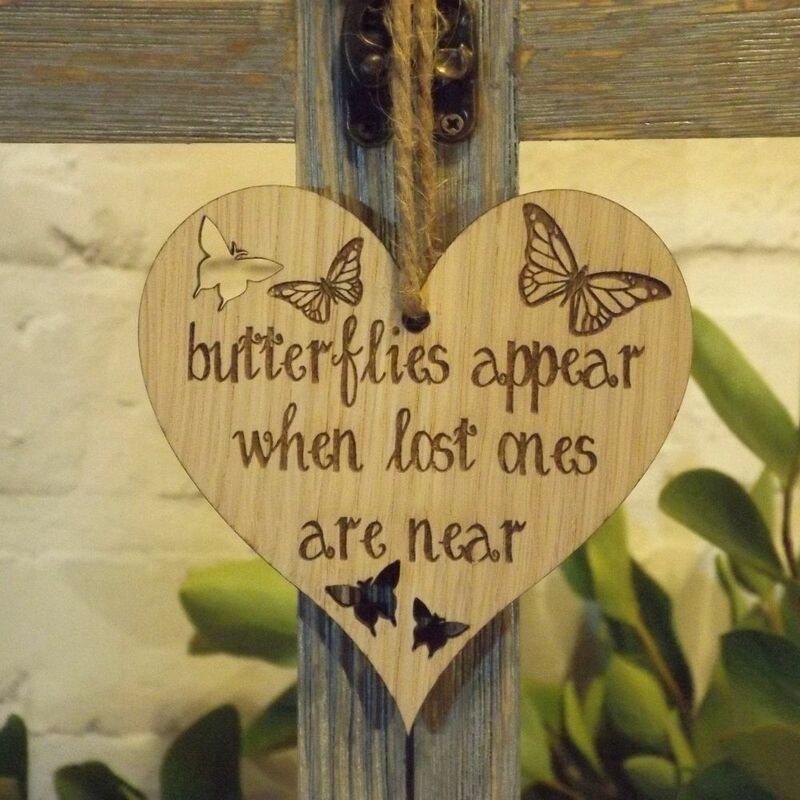 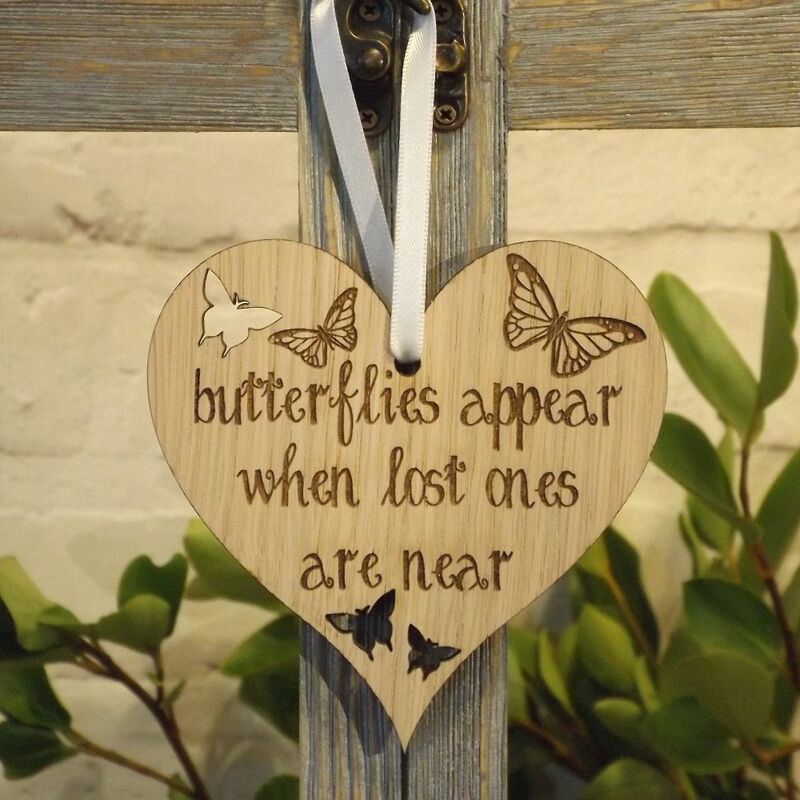 Our Butterflies appear when lost ones are near hanging heart is made from oak veneered wood. 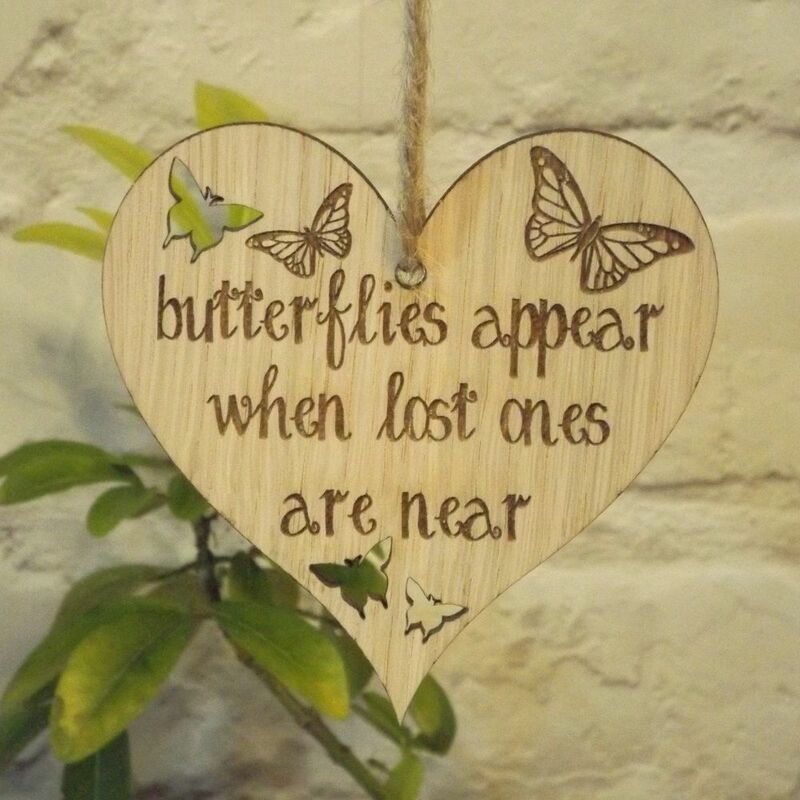 Comes strung with either silky white ribbon or a natural jute twine allowing the heart to be hyng around the home. 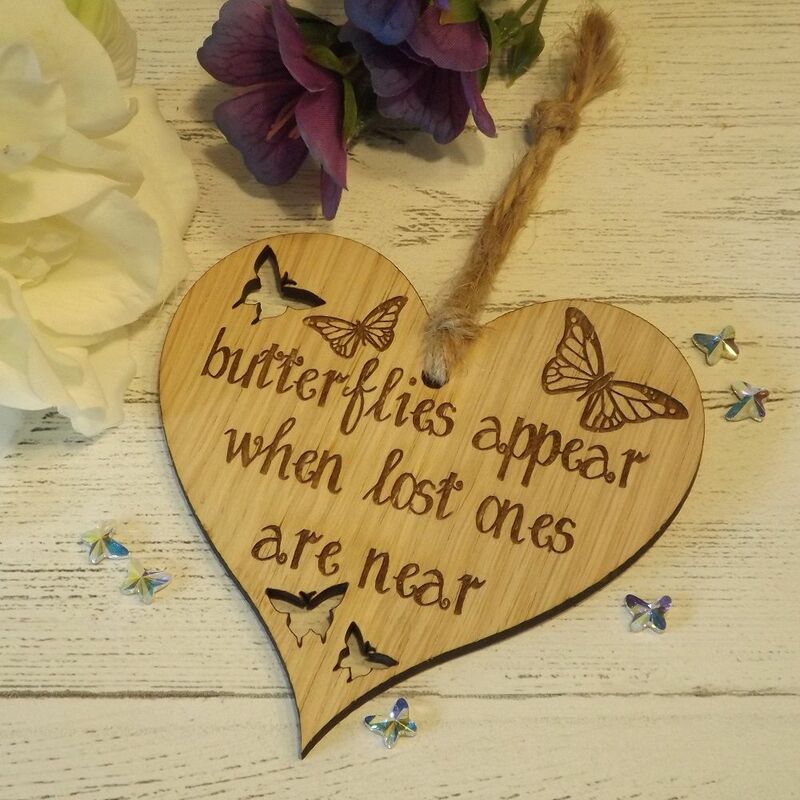 Heart measures 10cm x 10cm at widest points. 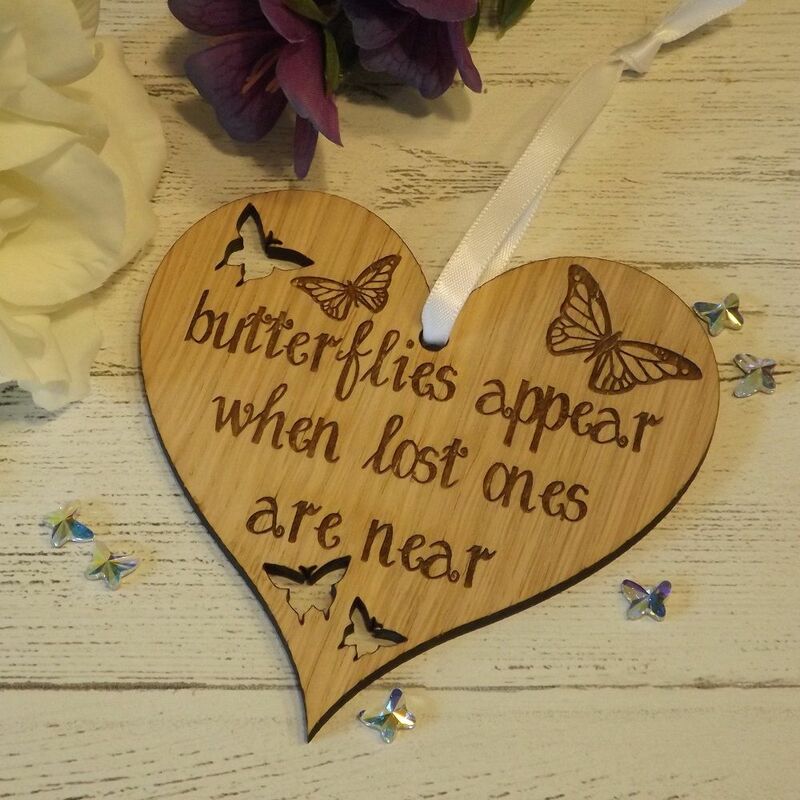 Please note with wood being a natural product you can expect variation in colours, texture and wood grain, so each decoration is truly unique and special to you. 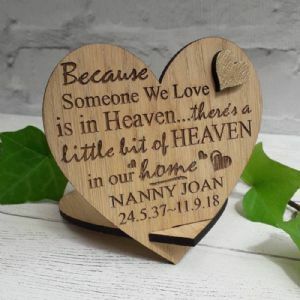 Please allow up to 3 working days for us to make this item for you before we post by your chosen postal service at the checkout.